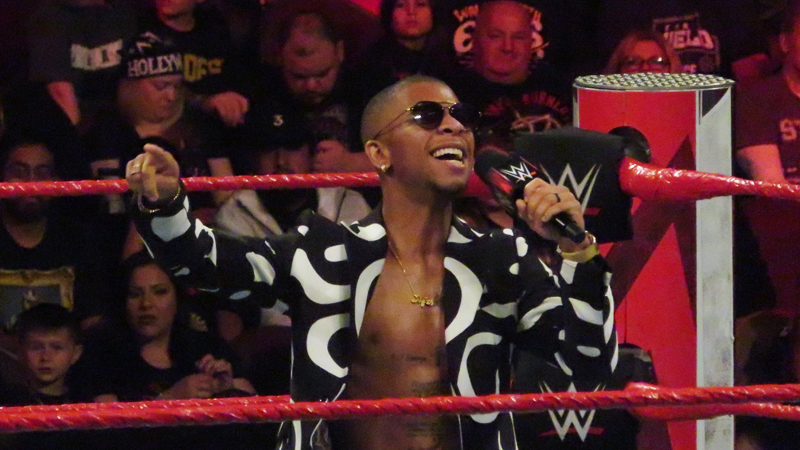 Lio Rush was the latest guest on Chasing Glory with Lilian Garcia, and the WWE star spoke about his now-infamous Tweet poking fun at Emma [Tenille Dashwood] being fired by WWE. I felt so bad, and I reached out to Emma, and at first I had mixed feelings about it. Ultimately I realized that I messed up, and this was such a sensitive moment, such a real moment, and it was new to me because I had never really seen WWE tweet anything out like that, like ‘we’re releasing a Superstar’. That’s different. I just wasn’t thinking. I wasn’t aware of the situation, aware of how real the situation was, and there was just so much going through my head, because I believe that same day Darren Young had [been released]. This is a crazy thing; when I ran away from home—this was maybe one in the morning—I remember catching a flight out of Baltimore to Miami, Florida. I was in my pajamas, I looked like crap, and Darren Young was on that same flight, and I was telling him what was happening to me and what I was going through, and I kind of connected with him and he told me to keep my head up. So when that happened, I wasn’t trying to make fun of people that were getting released, like Darren Young, man, I connected with him in such a way, I felt horrible. It was a lot going through my head, I ultimately tried to reach out to Emma, and I didn’t get a response. I remember she tweeted out like a [broken heart emoji], and then it really blew up. I was like ‘ahh, this is so bad.’ I started getting really depressed and I started thinking about disappearing. I remember reaching out to Paige because of the situation she went through, and everybody saying such negative comments about her, just saying the most hateful things you could possibly think of. I remember feeling like I don’t want to be here anymore, and it was all from a stupid tweet. Rush also talked about the perception that he’s an arrogant or cocky person, and he explained that he feels like he’s being defensive and standing up for himself. Listen to “Lio Rush – Growing Through Struggles and Judgments” on Spreaker.